Kladlab for art-science research is applying for a start-up grant for its project 'Noncompliance and Control in the Digital Age'. 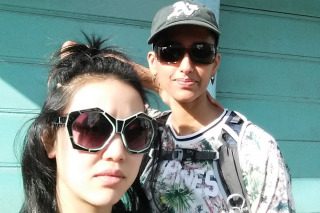 Project initiator Shanti Ganesh is working with the Chinese-Canadian artist Natalie Tin Yin Gan, who is also co-founder of Hong Kong Exile (HKX), an interdisciplinary performance group in Vancouver. The start-up grant will be employed to facilitate a six-month incubation project in Canada and the Netherlands, during which the applicants will gather and produce the initial material for what will eventually become an interactive, feministic gaming performance about the theme of control and 'dissent' in the digital era. After receiving a start-up grant, Marloes de Valk has applied for a follow-up grant for the development of 'What Remains'. The project is a retro-looking game, specially designed for the 1980s Nintendo Entertainment System (NES) game computer. The game reflects on the reasons why people are undertaking insufficient action to combat climate change. 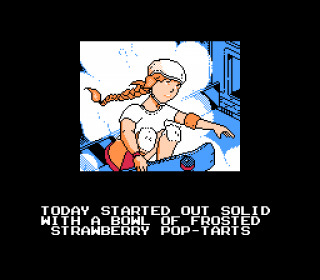 In the game the protagonist gains access to highly confidential information about climate change via an NES cartridge from an unknown source. Despite the great resistance, the player's task is to ensure that the stories see the light of day and influence public opinion. Marloes is working together with Aymeric Mansoux, Arnoud Guillon, Dustin Long and Chun Lee. The organizations involved are V2_, WORM, Babycastles, ESC Medien Kunst Labor and Furtherfield. 'View Source' is a project by the Mozilla Foundation, ThingsCon and The Incredible Machine. The parties have a shared fascination with and concern about the Internet of Things movement. 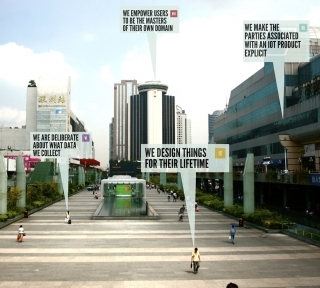 The project involves design-driven research that is largely being conducted in Shenzhen. This city is a global trendsetter in hardware production and is on its way to becoming the world's IoT leader. The project's goal is to provide insight into the different ways in which Western and Eastern IoT ecosystems are evolving. Based on a field study for the realization of an IoT bike rental system, the applicants are exploring the hardware world of Shenzhen in greater depth. The IoT ecosystem seems to develop according to its own unique agenda, in which designs and ideas move freely between organizations and parties. The knowledge gained will be shared with a worldwide IoT community in a series of talks, workshops and publications. The second season of 'The Hmm' will begin in February 2017. 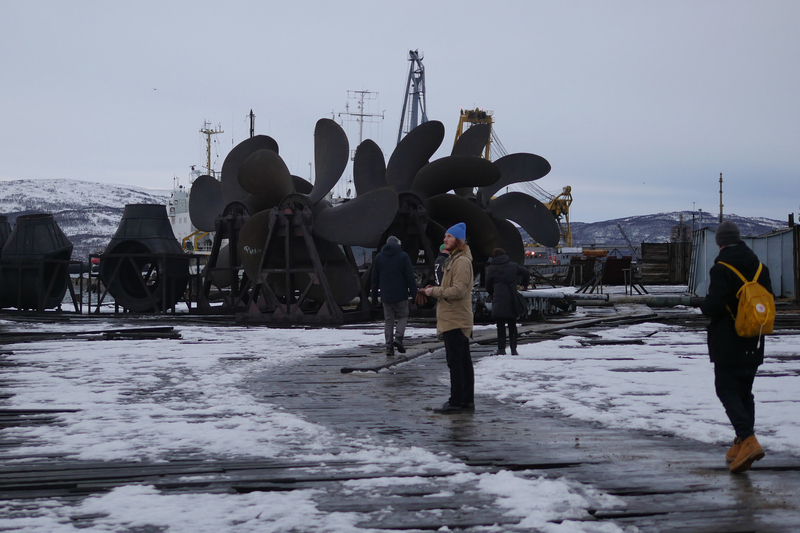 The intention of programme's initiators, Evelyn Austin and Lilian Stolk, is to contribute to a better understanding of digital visual culture. 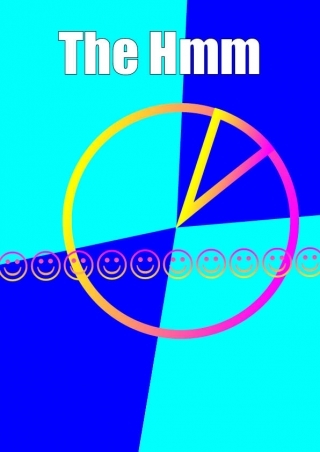 They are therefore organizing 'The Hmm', a real-life Tumblr for digital visual culture. The programme consists of six evenings at six venues in Amsterdam. Ten different artists, designers, academics or collectors will be invited as speakers for each edition. The speakers present their narratives in five-minute presentations of 20 slides, whereupon there is room for discussion and debate with the audience. The programme is primarily focused on a younger target group and offers a springboard for young creatives. The ambition of the initiators is to intensify existing collaborations with ArtEZ, KABK, the Rietveld Academy, the Piet Zwart Institute and WdKA. Stichting Solaris – the Solaris Foundation – fosters artistic research in the field of music and emphatically seeks out collaborations with other disciplines. 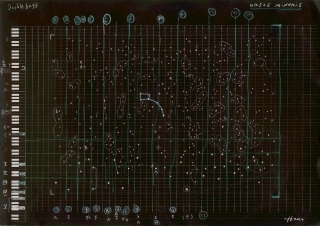 The Ursae Minoris project is a three-part, open composition for double bass and live electronics, in which musical and visual elements are combined. Ursae Minoris sprang from an interdisciplinary collaboration between visual art, music and science. The piece is based on celestial charts and is shown to best advantage in dome-shaped theatres of planetariums and observatories. With the performance Stichting Solaris wants to interest new audiences in the combination of performance and media art by organizing performances in astronomical and academic institutions. The musical composition is by Claudio F. Baroni and the visual composition is by Joost Rekveld.